The exchange-traded funds industry ended February at a record high of $44.8 billion. Summary: Australian investors poured a record $2.3 billion into ETFs in February, eclipsing the previous record set in November 2017. Key take-out: ETFs are being widely used in place of direct equities to gain easy access to international markets and as the core building blocks for individual portfolios. A just-released report by exchange-traded funds issuer BetaShares and research group Investment Trends shows 385,000 Australians now own securities in an ASX-listed ETF product. That’s up strongly from around 100,000 five years ago, and includes 120,000 self-managed superannuation funds and a growing band of millennials (29 per cent of the total ETFs cohort). There are multiple forces at work, but behind the numbers is a growing recognition by investors that ETFs are ideal core portfolio building blocks to achieve broad diversification at a relatively low cost, not just across the Australian market but increasingly across international markets. Another big factor is the growing uptake of ETFs by financial advisers, which is proving to be one of the major gamechangers for the ETFs industry along with the steady increase in new products entering the market. About 18 per cent of the new money coming into ETFs is via advisers, double the percentage five years ago, with more than half of the advisers surveyed by Investment Trends stating that ETFs had improved their clients’ outcomes. Another key attraction for advisers is that because ETFs are so easy to manage, they allow them to service a greater number of clients. In the wake of the findings of the recent banking and financial services Royal Commission, a strong attraction for advisers is that there is a much lower risk of repercussions from recommending clients into products that passively track the market. “Planners interested in ETFs expect the Royal Commission will lead to them recommending more lower cost and transparent products,” says BetaShares’ chief executive Alex Vynokur. He believes ETF model portfolios will be used more widely to support planners’ needs as advisers seek to create efficiencies in their businesses. Advisers are playing a key role in the growth in ETF funds flows into different asset classes, with many using model ETF index-tracking portfolios created by product issuers that they can offer to their clients. These offerings cover a range of investment strategies depending on the clients’ risk profile and time horizon, with advisers able to offer well-balanced portfolio options. Asset allocation strategies are central to the advisory process, and there’s evidence that Australian ETF investors are becoming more sophisticated and diversified through their use of ETF products. How much of that relates specifically to advisers is unclear, but it’s evident investor money has been steadily leaking out of pure Australian equities ETFs into other asset classes. In 2018, Australian stocks ETFs attracted 23.9 per cent of inflows, down from 33.7 per cent in 2017. The biggest winners have been international ETFs, which accounted for 46.5 per cent of total fund inflows in 2018 – up from 41.1 per cent in 2017. There has also been very strong growth in inflows into fixed income ETFs, up from 14.6 per cent of the total in 2017 to 20.9 per cent last year. Some advisory firms are creating their own ETF portfolios based around their own investment allocation strategies, with some even paying index managers such as S&P to create indices that become the benchmark against which their performance is assessed. In the meantime, the total costs for investors is falling. ETF management fees have been dropping steadily on ASX-listed products, with investors now paying fees of less than 0.2 per cent on close to 20 products that are collectively holding more than $17.5 billion in funds. That’s close to 40 per cent of the entire Australian ETFs sector, which at the close of February had grown to just under $45 billion in funds under management. Of the total, a little over $5 billion is invested into ETFs charging management fees of 0.1 per cent or lower. Holding about $4.5 billion in funds here are two products both charging 0.04 per cent – the iShares S&P 500 ETF (IVV), and Vanguard’s US Total Market Shares Index ETF (VTS). That compares with an average expense ratio of 1.35 per cent charged on actively managed funds in Australia, even though close to 87 per cent of Australian equities managers underperformed against their index benchmarks over the past five years, according to the latest S&P Dow Jones Indices SPIVA report. "The SPIVA research shows time and time again that about 80 per cent of active funds underperform, which is shocking quite frankly," says John Davies, managing director and Global Head of Exchange Traded Products at S&P. "The race to zero fees has been going on for a long time and will continue to do so. "It will never get to zero, but as part of that process the discussion has to be had about what are you actually getting in return. What people forget is that if you go back 25 years before ETFs came into existence individual investors could not get access to certain markets in their investments and certain strategies. It was only institutions who could get this access. 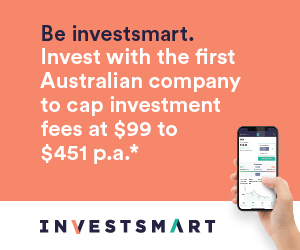 "So what ETFs have really done is democratise investing for the man and the woman on the street, because we can now put $10 a week into an ETF and get the same investment strategy that Australian Super would have got. Davies says he expects there will be “a natural level” that ETF fees come down to, depending on the investment strategy being employed by the product issuer. Funds using more sophisticated strategies to outperform the broader market will be entitled to charge higher fees, he says, so long as they do outperform. On the other hand, Davies believes that index-tracking funds – where the vast bulk of ETF assets reside – should be charging low single-digit basis point fees. InvestSMART offers a range of ready-made low-cost ETF portfolios. Go to our Invest With Us section to find out more information. Part of our ‘Capped Fees’ range, these portfolios are designed to provide you with better returns by carefully balancing risk and fees by investing in a blend of our preferred Exchange Traded Funds.